1817 and 1827 Returns of the Deaf and Dumb for Chilmark and Tisbury. 1829 Persons in Tisbury reputed to be Lunatics and furiously Mad. 1829 Persons in Chilmark reputed to be Lunatics and furiously Mad. 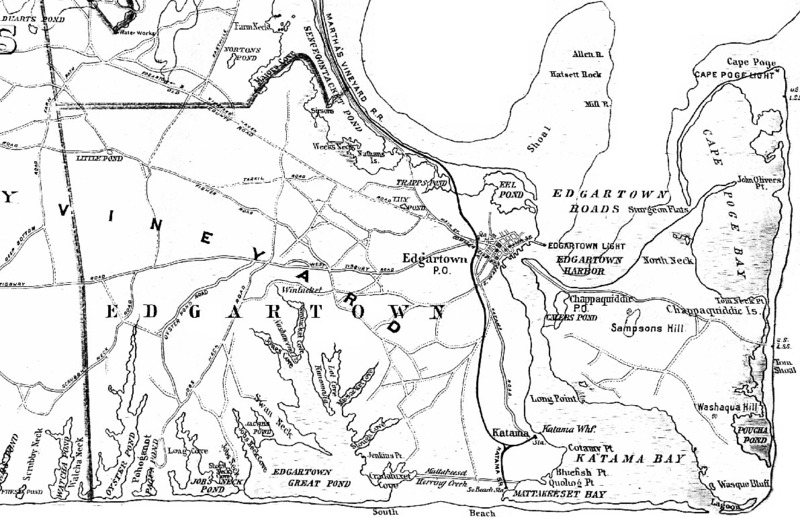 1829 Persons in Edgartown reputed to be Lunatics and furiously Mad. 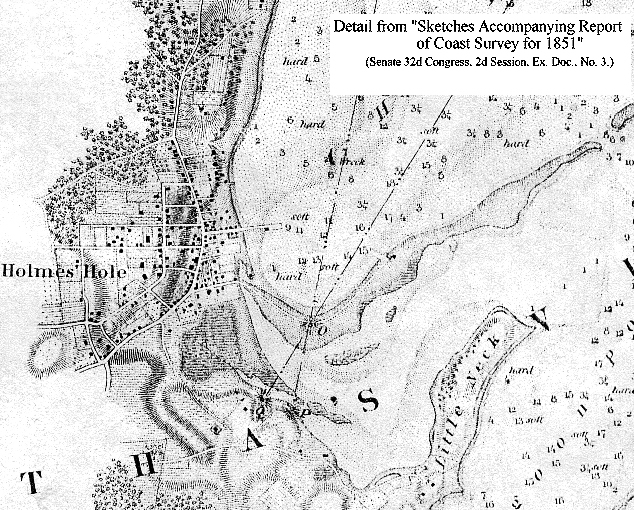 1830 Federal Census of Tisbury - indexed, with links to page images. 1862 Tisbury Enrollment List: men aged 18 - 45 - original order. From the Vineyard Gazette. The Army - from pp. 518 - 523, Vol. I, of Banks. Naval Service - from pp. 524 - 527, Vol. I, of Banks. Pedigree of Mayhew of Dinton - p. 106. WINSLOW Family - pp. 513 - 514 - See The Descendants of James WINSLOW of Tisbury. 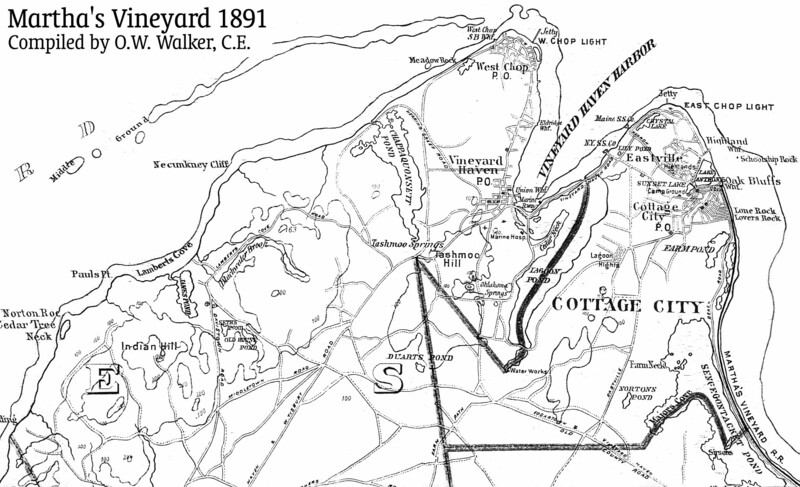 The Descendants of Moses CLEVELAND on Martha's Vineyard Compiled by Judy Haddock Swan. The EDDY Family of Martha's Vineyard by Ruth Story Devereaux Eddy. The MERRY Family of Industry, Maine by William C. Hatch. The WORTH Family of Nantucket and Martha's Vineyard Compiled by Bill Worth. The Descendants of Thomas and Sarah (Butler) WEST Compiled by Judy Haddock Swan. Descendants of Jeruel WEST Jr. Cemeteries of Martha's Vineyard - Guide to the cemetery pages at this site. (25) The history of the Tilton's Drug Store / Yates Drug Store building. (26) The history of the Bunch of Grapes / Cafe Moxie building. The History of Cedar Neck (Hines Point, Vineyard Haven) by C. G. Hine, 1907. 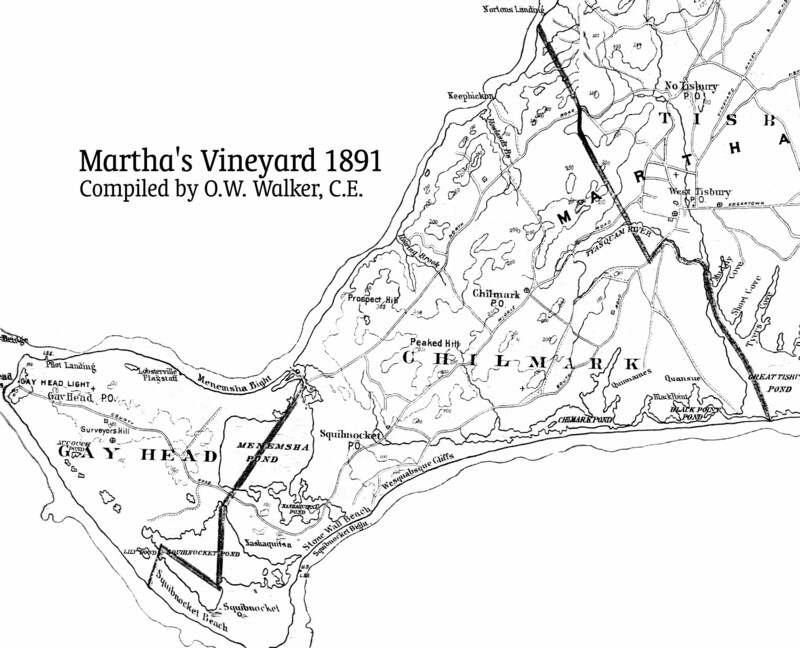 The History of Martha's Vineyard by Henry Franklin Norton, 1923. The History of Tisbury (Vineyard Haven) by Henry Franklin Norton, 1923. 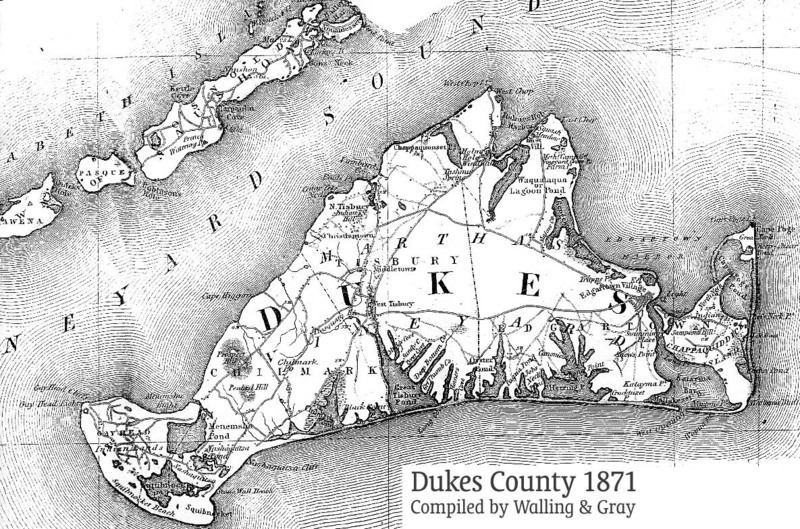 The Biography of Dr. Leroy Milton Yale, Sr. by Dr. Leroy Milton Yale, Jr.
An 1849 Description of Dukes County - pp. 140-141 of A Gazeteer of Massachusetts by John Haywood. The Naushon Daily Agitator (1936) - Satirical "newspaper" for the crew of the steamer Naushon.